Well..I know Navratri has started already, but at So-Saree we are still talking about Ganeshotsav. 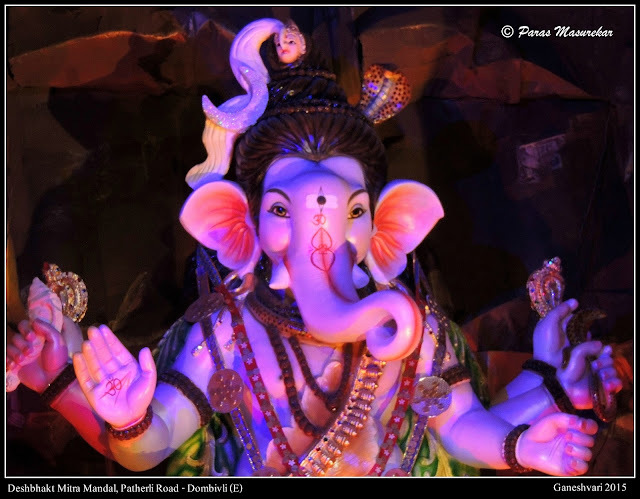 Just like last year, I asked my friend Paras to share pictures of the numerous Ganesh Pandals that he religiously visits every year. And he didn't take even a second to say yes. So here we go...over to you Paras. The word “Vari” means the practice of proceeding regularly at monthly or annual intervals on a pilgrimage or to any sacred place. For me, the 10 days festival of Lord Ganesha is a ’Ganeshvari’ which I do every year by visiting various pandals across Mumbai and within my city – Dombivli and take darshans of as many Ganapati Bappas as possible. There is no said number or any mannat. 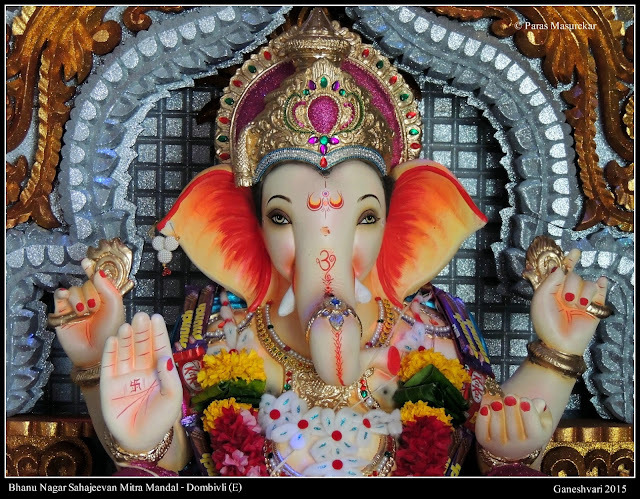 It’s just the love to see the Lord, to praise the work of the artisan and to see our Dear Mumbai coming to life 24x7, all united to welcome and serve their beloved Lord Ganesha! 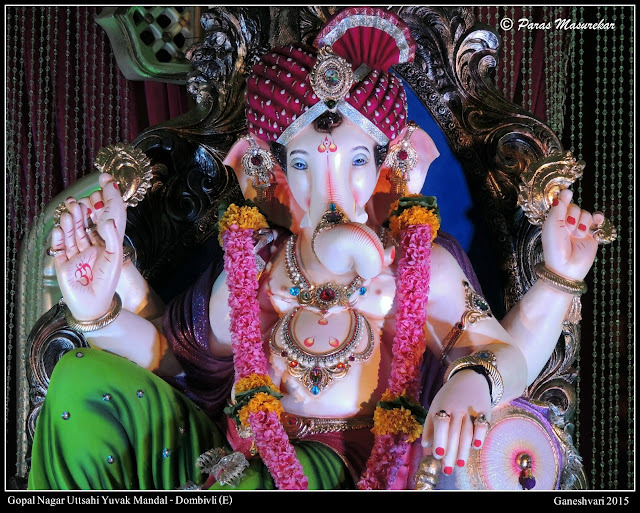 This year too, I was blessed to get darshan of 200+ Bappas while traveling within Mumbai and the suburbs, a distance of almost 450 kms on my Top Gun – Royal Enfield Electra. 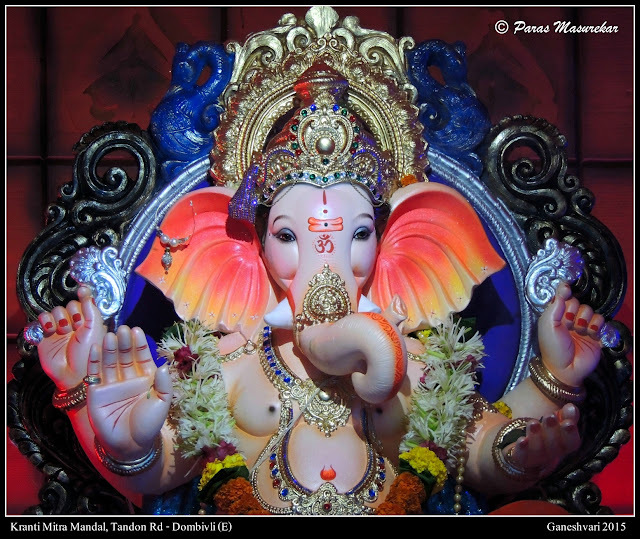 For the sake of So-Saree readers, I am glad to share my photographs of Lord Ganesha, consecutively for the 2nd year. Thanks to Aditi, for asking me to share my photographs and for giving me the liberty to pen down a few words. these 2 facial components are the ultimate ones which brings an Idol to Life! They portray the mastery of a Murtikar (Idol Maker) in his idol making skills which he has perfected over the years. 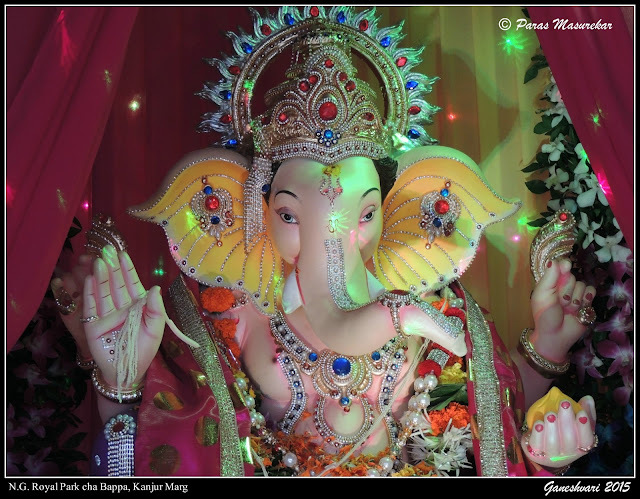 Along with these, there are a few idols which I feel have the Grace, the Elegance and by the first look of these Idols, one would bow down before the Lord and praise the maker for his artistry. Hope you all enjoy the photo collection, as much as I do. 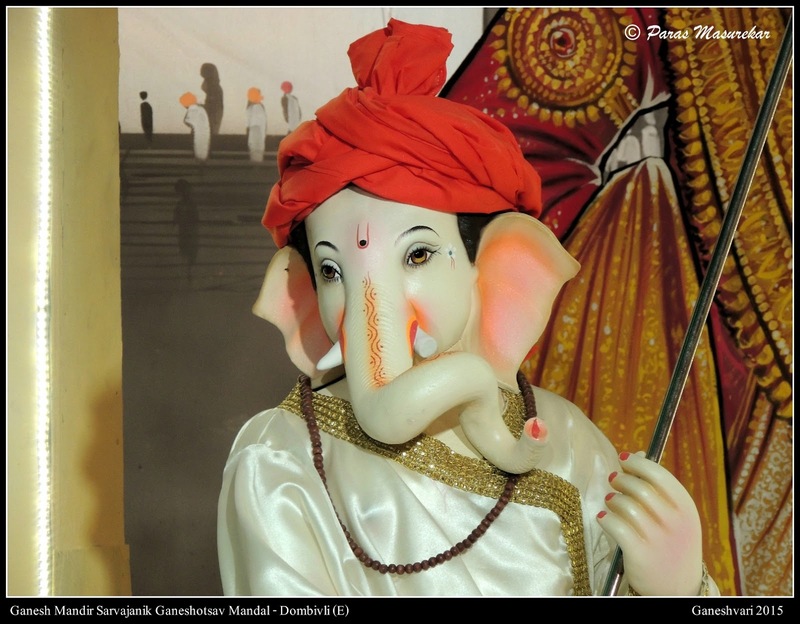 The simplicity of the idol lies in the fact that Bappa is in the appearance of a Varkari. 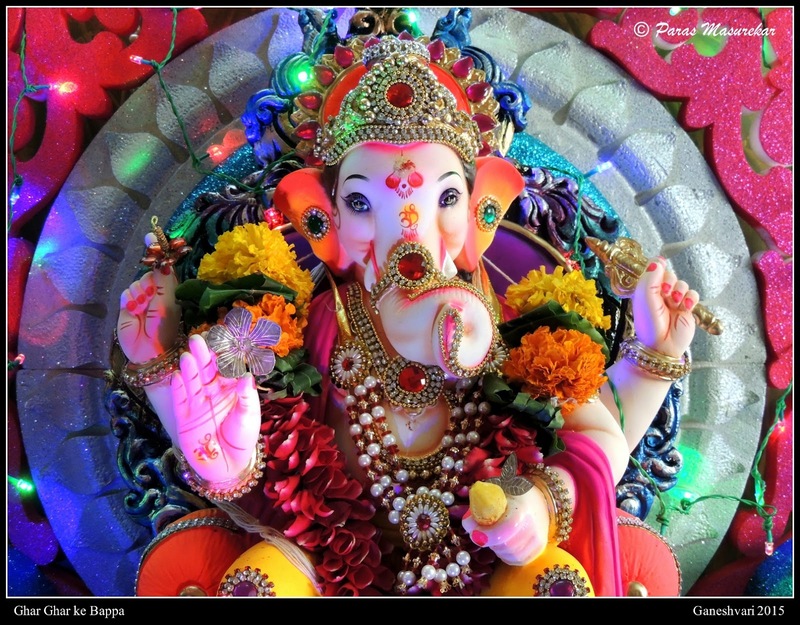 An adorable avatar of Bal Ganesh. 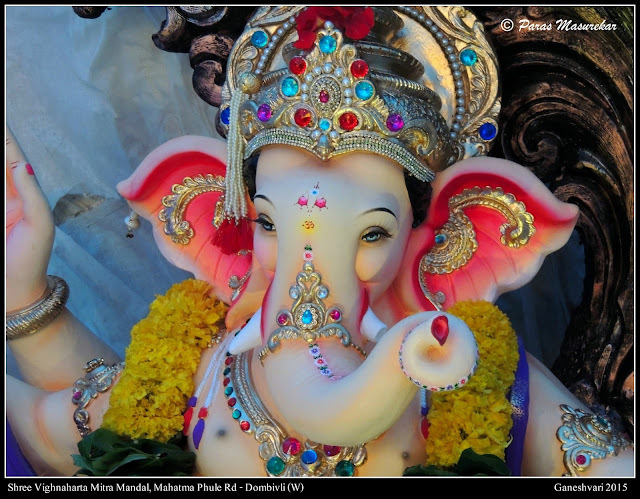 The Chandrakor (Bindi) and the fringe (Lat) on his forehead make him look gorgeous... doesn't he? 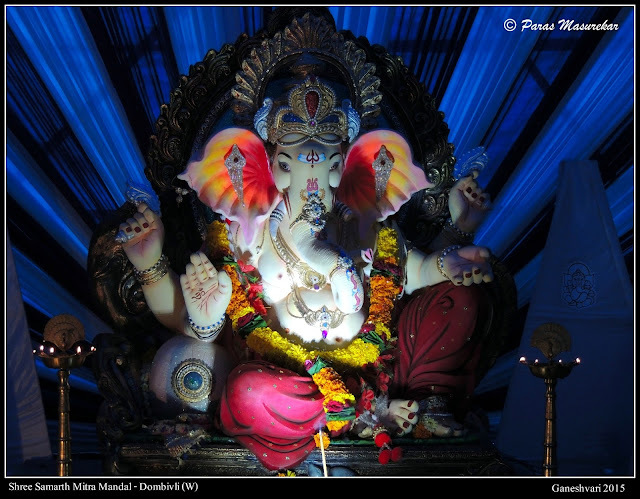 Shree Vighnaharta Mitra Mandal, Dombivli (W) - This is the most beautiful Idol I have seen this year. If you look at eyes, they have used eye lashes ! 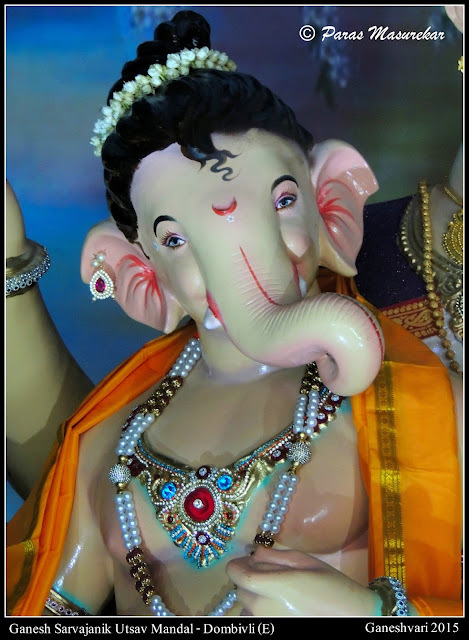 The lashes and the Blue eyes make the Idol come alive ! It was as if he was straight looking at his Bhaktgans. 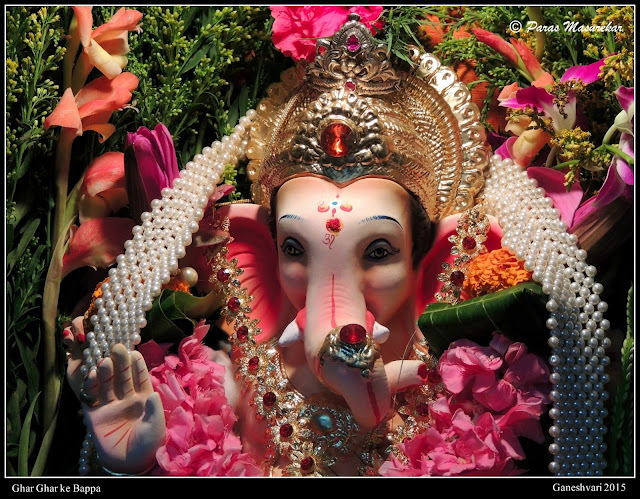 Such lovely pics from Ganeshotsav, Thanks for sharing! beautiful is the word. 200 is quite a big number. I wish I was in Mumbai .